Biton is a tech-savvy multi-disciplinary designer, passionate about the meeting points of humans with technology. 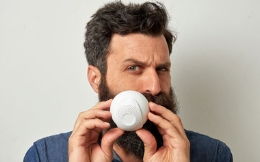 Meir Biton is the co-founder of Storyball, creators of award-winning smart-toy that merges technology & Storytelling to enhance children’s development in the real world. As Chief Product officer, Meir explores new ways of combining the latest screen-free technology with Storytelling to enhance learning and social experiences.